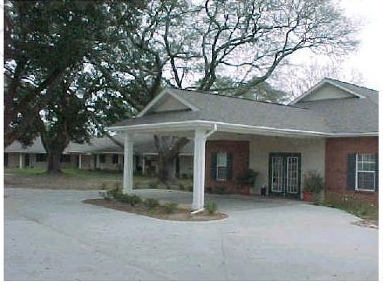 Village in the Oaks is a distinguished senior retirement community located in a beautiful country setting. Sitting on 6.0 acres of land, just minutes North of Covington, La.. Village in the Oaks provides the finest in retirement community living which includes independent living as well as assistance with tasks of daily living. A move to Village in the Oaks means no buy in fee or any other large initial lump sum payment. Simply there is a small security deposit and monthly rent. Retirement is a time for you to enjoy a new lifestyle filled with unlimited opportunities. Live beneath the oaks and enjoy all the amenities and variety of options that will best serve your personal needs. The rental option offers you the maximum flexibility in housing. Service include three meals (continental breakfast, lunch and dinner) served in our dining room and housekeeping every other week. As a courtesy, we also include transportation to shopping centers, scheduled physicians appointments and grocery stores. Our facility offers a manager to oversee the day to day operations, a large activity room for scheduled activities, on site beauty & barber shop,and a community laundry room. In our community, you can enjoy your independence without worrying about safety and home maintenance. Maintain your freedom while benefiting from a variety of personal services. Participate in scheduled activities, then relax in the privacy of your apartment home. Please send me information about the pricing of your facility. My name is Sandi Seeger and my mom has been living at Village in the Oaks several years. The entire staff is so caring anyone can see how much they love the residents. The entire facility is always so clean and neat. I have them administer mom’s meds and they are diligent in this area also. There are numerous activities and parties at which the staff interacts with the residents. I thoroughly enjoy their parties as well. I have such peace of mind when out of town knowing Donna and her staff will handle anything that arises with my mom. My mom’s apartment is also larger than others I looked into before choosing the Village. They also assist families with acquiring home health and hospice care when needed. My name is Marie Frazier. I am an 83 year old resident at Village in the Oaks. I moved in on July 2012 and I am very content and happy here. They provide many enjoyable activities. I look forward to the religious services and bible studies. Some of the many activities that they provide include restaurant outings in which the residents get to choose their favorite places, virgin cocktail hours, coffee chats in the afternoons, birthday celebrations, and numerous parties for all special occasions. The staff is always very attentive and kind and meets all the residents needs with a smile. I would highly recommend Village in the Oaks to anyone looking for a home-like facility for their loved ones. It was a difficult decision to leave my grandmother at a home, but all I have is thanks and praise for Village in the Oaks. The home-like environment made her transition easier. The staff and management are very helpful and friendly. The apartments are roomy and well kept and they even have a hair salon and a cute chapel for the residences. My grandma enjoyed dinning and chatting with her new friends. She loved the daily activities especially the musicians and singers that would occasionally entertain. I will cherish all of the pictures from her birthday and holiday celebrations. She was truly happy at the Village and for that I thank you. I have lived here at the Village for nine years and I love it. The people who manage this place are just wonderful. They care about each person who lives here. I will be here until Jesus calls me home. Throughout our lives we make decisions for ourselves or for our children and often ultimately for our parents. We always hope that we make good decisions. Our decision to entrust the Village in the Oaks with the safety and well-being of our father is one of the best decisions we as a family ever made. He arrived somewhat fragile, still grieving for our mother. We were worried, but we knew he needed a change. Donna assured us that he would blossom. She was right. In a short period of time, a group of people who were once strangers became new members of his family. You made him feel special, and he thought each and every one of you were special. He sang your praises on a daily basis and thanked God for his great fortune to be living at “God’s little acre,” where he truly felt loved and cared for. All the while he was feeling so loved and cared for, he was also having a darn good time!! From Donna’s flair for parties (he never got over the fact that she could do a split!) and Miriam’s dancing feet (he’d never seen feet move so fast!) to all of you in costumes dancing, (and dancing with him!) he couldn’t get over how much fun he was having at his age! You cared about his happiness. You provided him security, day and night. life fun and adventurous for everyone. Marjorie has been at the Village for 2 1/2 years now and loves it. Please send me information on your facility. I am planning to move to a senior living facility in the next year. I am very interested in your facility for my parents. Please contact me at(504) 400-8130. Thank you. New to the area looking for a housekeeing manager job in the nursing facility, I have experience and a big heart for the residents, Take pride in my work…If yall need a good person to take care of your facility. I would like to send a copy of my resume. I just recently graduated from high school and I did a nursing program for my school, and graduated with a CNA certification. I did the program at heritage manor which was a great learning experience for me I really loved it and I enjoy helping people and just being able to talk to them. I hope I can hear back from y’all if y’all ate hiring CNAs would be another great learning experience for me and to better my nursing career.